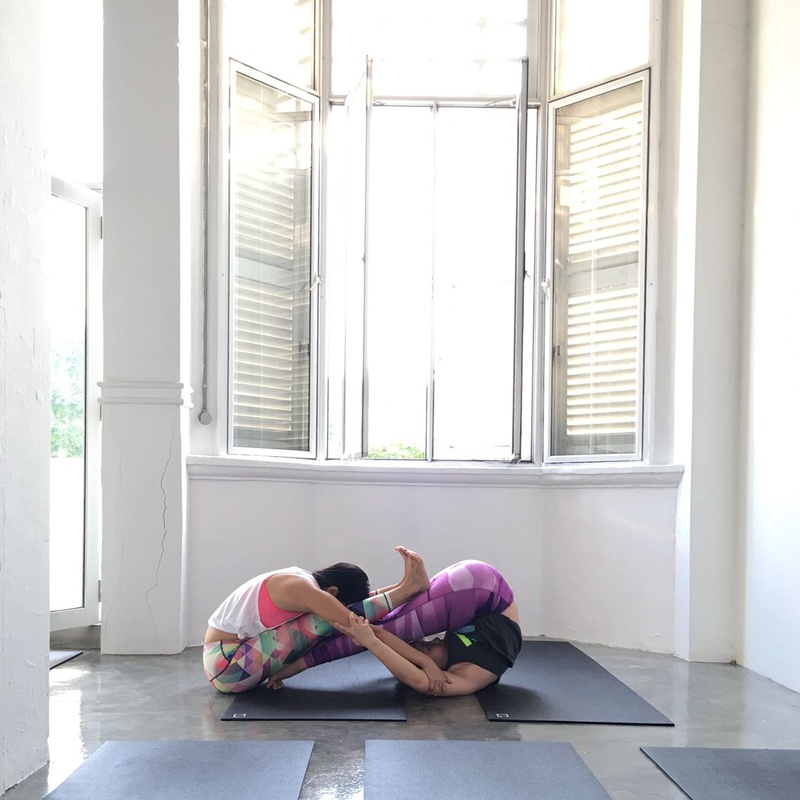 Double #ploughpose (or a plough and a paschimottanasana) is a great partner pose as it deepens the stretch for both practitioners. I don’t get to teach it often because by the time we are done warming up, bodies in the room get too sweaty to do this rather intimate #partneryoga pose. Do try this at home (safely) though!